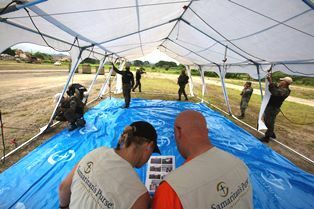 ECUADOR (ANS – March 22, 2016) — When a 7.8 magnitude earthquake struck Ecuador Saturday, April 16, 2016, Samaritan’s Purse immediately began mobilizing supplies and experienced relief workers to aid in the aftermath. The organization now has a team of 30 on the ground, including medical staff, working through local church partners. An emergency field hospital has also arrived and is now operational. A number of additional team members will be travelling from the UK, including medical and logistics staff. On Wednesday, Samaritan’s Purse started utilizing a newly refurbished DC-8. The aircraft’s inaugural flight with the organization was to transport an emergency field hospital, relief supplies, and more than 30 medical staff and relief workers to Ecuador. Further flights continue today (Friday,April 22) and Sunday, April 24. This aircraft, which can carry 40 tons of emergency supplies and dozens of personnel, is a critical new tool for Samaritan’s Purse to bring relief to traumatized survivors of disasters around the world. The medical mobile unit gives Samaritan’s Purse a physical location to treat and help patients in need. It has an emergency room with the capacity to see more than 100 people a day, an operating theatre with the ability to perform 7 – 10 surgeries daily, 20 inpatient beds, and an outpatient clinic with an adjunct lab, ultrasound imaging capabilities, on-site pharmacy and pharmacist. Approximately 40 medical personnel will staff the field hospital each day. In addition to the overwhelming medical need in Ecuador, Samaritan’s Purse will be working with its team of relief specialists currently on the ground to provide clean water to 50,000 people and meet the shelter needs of 5,000 households. Samaritan’s Purse UK is an international relief and development organization that works through local churches to proclaim and demonstrate the love of God amongst communities in need in 18 countries across Africa, Eastern Europe and Central Asia. To find out more about Samaritan’s Purse in the UK, visit www.samaritans-purse.org.uk. 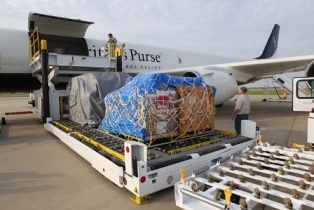 Photo captions: 1) Samaritan’s Purse airlift. (Samaritan’s Purse). 2) Rescue worker surveys the devastation after the Ecuador earthquake (Photo: Jose Jacome/EPA/Newscom. 3) Workers setting up the field hospital. (Samaritan’s Purse). 5) Peter Wooding filming in London. (Mick Rock). 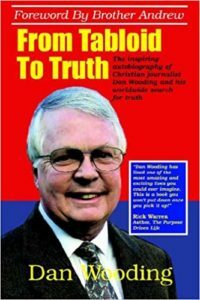 About the writer: Peter Wooding, the younger son of Dan and Norma Wooding, is an award-winning radio, TV, and print journalist and media consultant under the name of Peter Wooding Productions (www.peterwoodingproductions.com). Having previously spent 10 years as news editor with UCB Radio in the UK, he has travelled extensively reporting from countries including Greece, Russia, Serbia, Ukraine, South Sudan, the Philippines, Uganda, South Korea, Zambia, Gambia, Mozambique, Croatia, Israel and India. He now reports regularly for ASSIST News Service, Samaritan’s Purse, Leading The Way, Christian Concern and Transform Europe Now! Peter and wife Sharon live in North Wales, UK with their three daughters, Sarah, Anna and Abigail. To contact Peter for a consultation please e-mail him at: peter@peterwoodingproductions.com or at tel. +44 (0) 7500 903067.